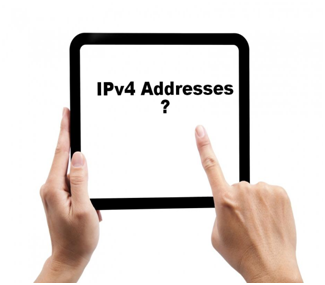 Why are IPv4 Addresses Scarce? To know why IPv4 number blocks have become such a hot commodity, let us step back a little to look at the history of IPv4. Internet Protocol Version 4 (or as it is most commonly referred to as IPv4), is the 4th version in the development of the IP (Internet Protocol). IPv4 was also the first version of the IP that was deployed worldwide. Since then it has become the default protocol for the internet. In IETF publication RFC 791, September 1981, IPv4 was described for the first time. This effectively replaced the earlier description RFC 760, January 1980. Among the TCP/IP protocol suite, the Internet Protocol is listed as one of the major protocols. IP works with the conglomeration of the Internet layer of the TCP/IP model and the network layer of the OSI model. This ultimately makes the protocol responsible for identifying hosts. The identifying process is completely based on the logical addresses of the hosts. The protocol routes the data among the hosts over the underlying network. Internet protocol supplies a mechanism which allows the IP addressing scheme to uniquely identify hosts. 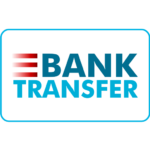 Internet Protocol is based on the best effort model, that is to say that it doesn’t actually give you the guarantee that data packets will be delivered to the intended host. However, it will give its best effort to do so. Internet Protocol Version 4 (IPv4) utilizes 32 bit logical addresses. That is to say that the addresses are 32 bit long and contains the IDs of the networks which help separate and organize the network into logical parts. If you compute the 32 bit length, then the approximate number of addresses allocated during the design to IPv4 comes out to about 4.3 billion. When IPv4 became the default protocol there weren’t that many users nor was there the wide number of internet users. But now almost every digital device is connected to the internet, be it computer, phones, cars, etc. Since each device needs a unique identification address, the number of IPv4 addresses is slowly running out. To combat this, Internet Protocol Version 6 (IPv6) was introduced not too long ago. Approximately trillion, trillion addresses could be had with the 128 bit length of the IPv6. But here is the thing. New systems could easily integrate IPv4 and IPv6, but the same can’t be done the other way around. The full integration of Ipv6 will take many, many years. That means that IPv4 is here to stay for a while. Now combine these factors with the slowly running out of the IPv4 addresses and you get the reason why the number blocks for IPv4 have gotten so scarce. The smart choice is to jump into the IPv4 market right now to buy or sell the number blocks. We, at IPv4 Mall, help you buy, lease and sell IPv4 space with extreme ease. We provide comprehensive and streamlined solutions inherent in the challenges of acquiring IPv4 number blocks for the growth of your business. To know more, contact us right now!